Our agency partner and their client were hitting the road for a 5-city tour to introduce new flavors and packaging. 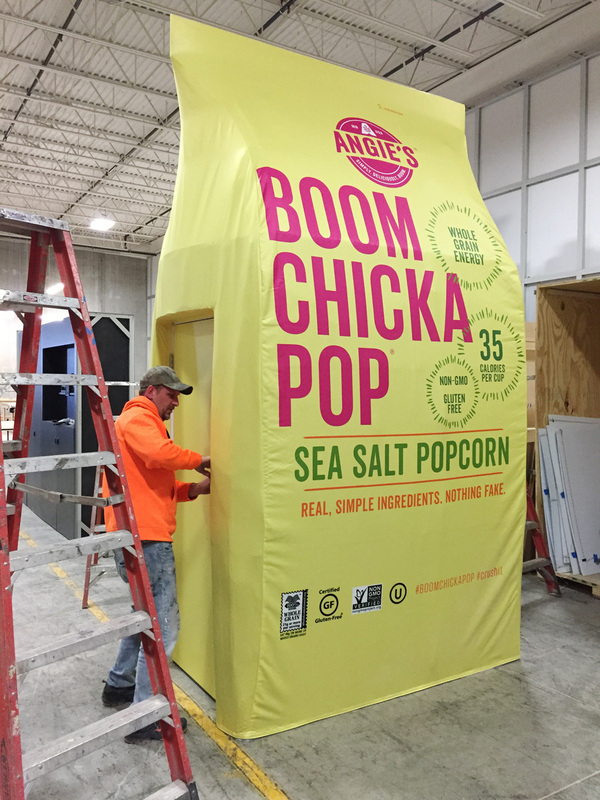 They needed our help to create an attention-grabbing, interactive popcorn bag video recording booth. The “package” needed to be portable for easy transport and setup. We designed and fabricated a modular aluminum frame, with quick-connect joints for incredibly easy and fast setup. Plus, we engineered the entire bag-booth to fit into a sprinter van. We carefully selected cover material that would stand up to both the crowds and the elements. Following concepts from our agency partner, we helped create working designs (shop drawings) to bring the idea to life. We engineered ways to ensure that the booth looked like a bag rather than a box, despite its internal framing structure. And, we handed off the bag along with easy-to-follow setup instructions so that the brand team could focus their energies on spreading some popcorn love.